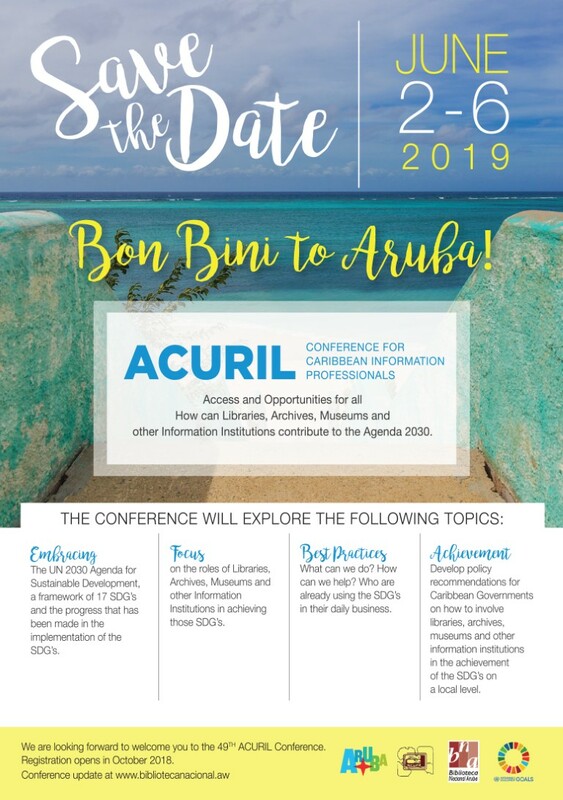 The next ACURIl Conference for Caribbean Information professionals will take place in Aruba in June 2019. Biblioteca Nacional Aruba welcomes you to participate in this conference which will cover interesting topics such as ‘Embracing the UN 2030 agenda’, ‘Focus on the roles of libraries, archives, museums and other information institutions in achieving those SDG’s’, ‘Best practices’ and ‘Achievements’. We are very happy to invite all ACURILEANS, Information Professionals, Exhibitors and Friends to participate in the 49th Annual ACURIL Conference to be held in Aruba. We would like to offer you an impression of what you may find on the island as a visitor. For more information please visit the website of the Aruba Tourism Authority, www.aruba.com. We welcome three Keynote speakers for the ACURIL 2019 Conference, Maaike Toonen (Koninklijke Bibliotheek), Arno Boersma (Center of Excellency) and dr. Cees Hamelink. Title of dr. Cees Hamelink’s presentation is “Libraries: sanctuaries for authentic communication”. 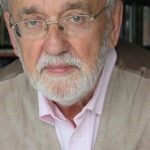 Short Bio: Dr. Cees Hamelink studied philosophy and psychology in Amsterdam where he received his PhD degree in 1975 at the University of Amsterdam. He worked as journalist, consultant to several intergovernmental organisations and national governments and guest-lectured in some 40 countries. He is emeritus professor of international communication at the University of Amsterdam and professor of human rights and public health at the Vrije Universiteit in Amsterdam. He is honorary president of the International Association for Media and Communication Research and editor-in-chief of the International Communication Gazette. He published 19 books on human rights, culture and technology and numerous other academic writings. He is also a passionate jazz musician. If you have any questions about the ACURIL conference and/or a visit to Aruba please visit the ACURIL website. If you have any questions or plan to attend the conference please email us at: acuril2019.loc@gmail.com. If you are an exhibitor and have questions please use this emailaddress acuril2019.exhibitors@gmail.com and if you wish to participate and have questions please use: acuril2019.participants@gmail.com We will try to answer all questions as soon as possible. Soon more information on the official website. Dear Acurileans and conference participants, you are planning to visit Aruba and we hope you are as excited as we are. Please visit the website of the Aruba Tourism Authority which offers all the information you need to make your trip interesting and joyful. With information on Aruba’s history and culture as well as Things to do. You will be staying at the Renaissance Hotel and Casino resort which is located in Oranjestad and on walking distance from the Main Street, Renaissance mall and Royal Plaza mall, lots of nice shops and really good restaurants. For documentation needed to travel to Aruba please click here. It is necessary to have a valid passport. The people of Aruba are friendly and service minded, most speak 3 to 4 languages. Papiamento and Dutch are the two official languages, English and Spanish are widely spoken but you will probably hear more languages since Aruba has community members from over one hundred nationalities. The currency on the island is florins and you can pay with USD dollars almost everywhere. Credit cards, Visa or MasterCard, are accepted in most of the establishments, personal checks are not. For information on flights and other travel information visit Queen Beatrix International Airport. At the airport exit you can find taxi’s that will take you from the airport to the city. Car rentals are right in front of the airport. Bus stops are in front of the terminal building on the L.G. Smith Boulevard and the journey time is approximately 10 minutes. Your hotel might offer a shuttle service. The climate of Aruba is tropical warm, which has a fairly stable temperature throughout the seasons, which ranges between 25 and 35 ºC. The highest temperatures are reached in summer between the months of June and September. Our rainy season is in December. You might want to bring a sweater for air-conditioned spaces like the Renaissance Convention Center where the conference takes place. Other than that sunglasses will do. The climate, beaches, people of Aruba are among many reasons to visit Aruba. The emergency number on the island is # 911. Please click here for information on our hospital and insurance coverage.